In Miserable Miracles, this fascinating band might just have made their masterpiece. Here they depart from the levelling distortion which has over-driven much of their earlier work, rather reimagining the programmed proclivities of those decades through a kaleidoscope of electro-bliss. 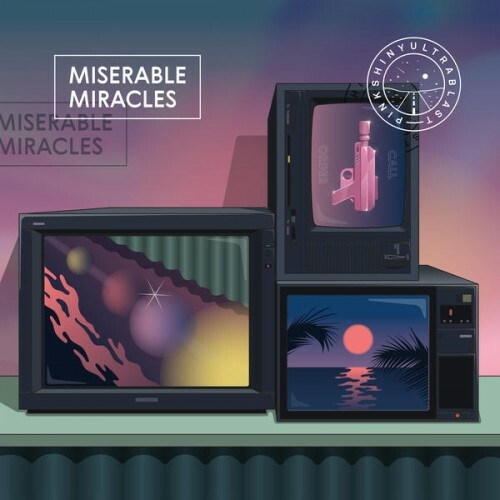 Miserable Miracles demonstrates Pinkshinyultrablast's truly unique approach to making pop music, which is equally as exciting and refreshing. Maybe much will be made of their newplayful trifling with those muchmaligned indiedancetronica influences, but I don’think this is the mereaesthetic synthwave chill,man plasticity of the endlessly reproducible shoppingmall sunset; you know, it’s, like, looming, there, the world. Purchasing Miserable Miracles from Amazon helps support Album of the Year. Or consider a donation?